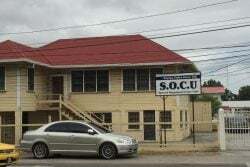 The Ministry of Finance is set to construct a new multimillion-dollar annex at the site of the former sports club of the Guyana National Cooperative Bank (GNCB), on Winter Place and Croal Street in Georgetown, according to the Department of Public Information (DPI). Finance Minister, Winston Jordan on Friday turned the sod at the location, in the presence of contractor, Courtney Benn Contracting company. The annex which will cost approximately $228M will house the ministry’s training room, a sports complex, a gym and the Camp Street valuation office. Speaking at the ceremony on Friday, Jordan said the annex has always been a project he wanted to take on board. Following his appointment as Finance Minister in 2015, among his many plans was the modernisation of the ministry. 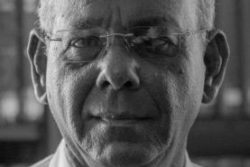 According to Jordan, the Finance Ministry should be the premier institution, and while his travels abroad have proven this to be true, the situation is not quite the same in Guyana. He said, according to DPI, that he decided to put in place the necessary human resources and systems to improve the conditions of the ministry. The Minister said with these developments, the population at the ministry has grown beyond the building’s capacity and the building is somewhat unsafe structurally. “You know it is unsafe because we have added more features to the existing building and we have added more buildings within the yard. We have added more electrical equipment in the building and we have not changed the wiring”, he stated. Echoing similar sentiments, Finance Secretary, Dr. Hector Butts said the construction of the annex is most welcomed since it is something that the ministry has been pursuing for some time. The building, according to DPI, is set to be completed by the end of this year.